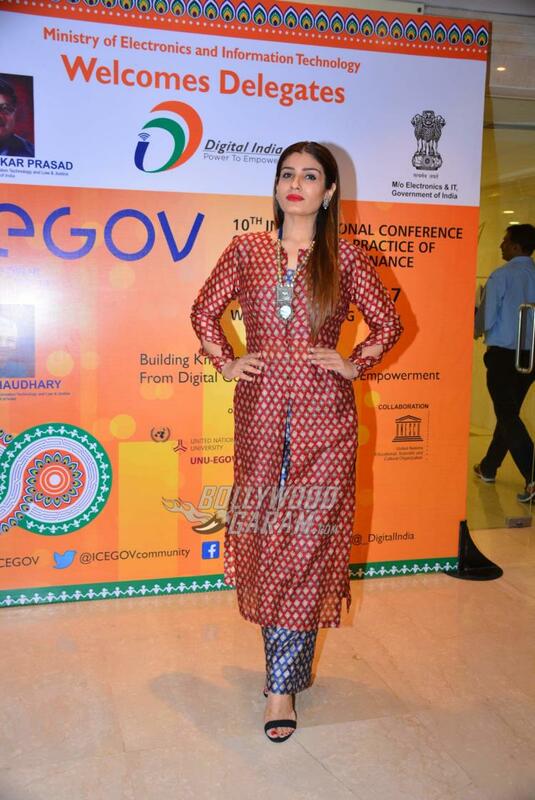 Indian veteran actress Raveena Tandon graced the International Conference of Electronic Governance (ICEGOV) 2017 event held in Delhi on March 8, 2017. During the conference, she discussed the importance of women empowerment, a social issue that has taken the front seat on the world political stage. The conference was hosted alongside the celebration of International Women’s Day. 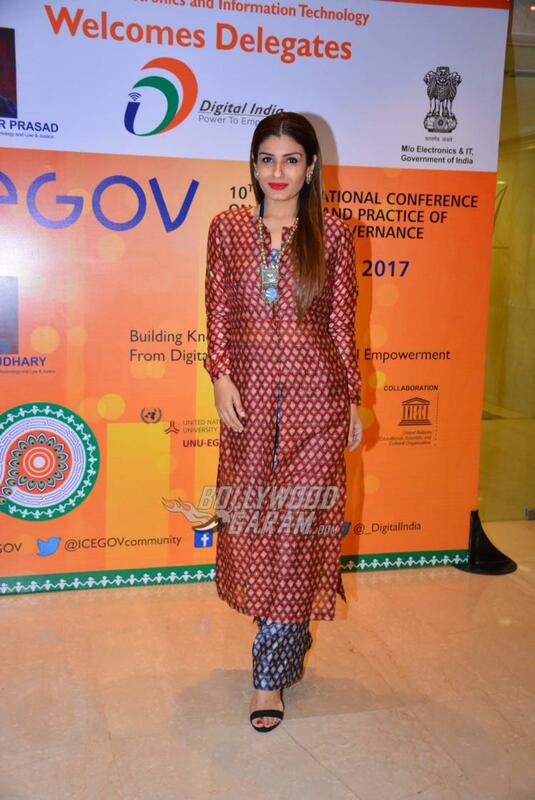 Raveena was a part of the three day international conference on e-governance, ‘ICEGOV 2017’ that will discuss the role of technology for transforming relations between government and its citizens. The international conference was organized by the Electronics and IT Ministry with the United Nations University and UNESCO. The actress looked elegant in a red and blue ethnic outfit. 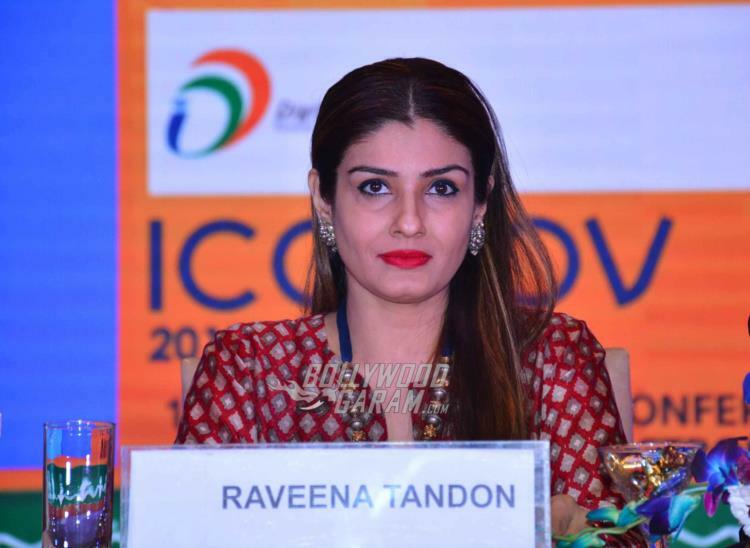 Raveena, at the event shared her views about women empowerment and disability. An official statement by ICEGOV 2017 said, “The key objective of ICEGOV2017 is to explore how digital government can lead to digital empowerment by local knowledge. It is a recognition of India’s emerging role as a massive cyber power, accelerated by the Digital India push which has acquired international acknowledgement”. The actress shared her speech at the ICEGOV conference through her official Twitter account. On the work front, the actress was last seen in the movie ‘2 Chehare’ in 2015 and is currently filming for a couple of movies including ‘Shab’ and ‘Maatr – The Mother’. The actress has stayed away from cameras and doesn’t act in movies as much as she used to in the ’90s. She now spends time being a full-time wife and mother. 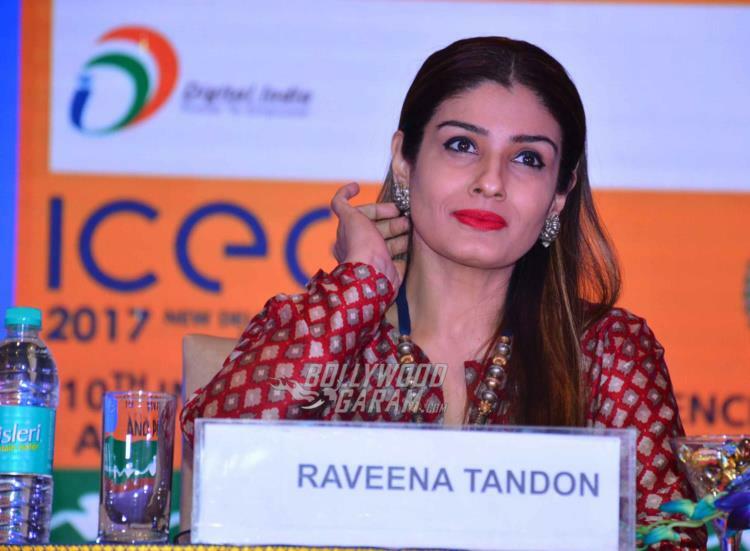 Raveena Tandon is next making a public appearance in Goa for an event held by PNG Jewellers during the Holi weekend.